Sometimes you have to step back in order to see things more clearly. 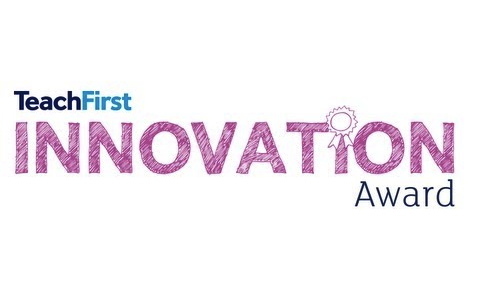 Going through the process of applying for a Teach First Innovation Award has been challenging but rewarding. Perhaps the greatest benefit has been in helping us to distil the message about how Thinking Reading works. We have what they call the ‘elevator pitch’: Thinking Reading is a whole school strategy with a one-to-one reading intervention for secondary school students who are reading three or more years behind their chronological age at its heart. They make rapid progress, catch up completely and sustain the gains. We also have the ‘tell me more’: Whole cohort and fine grain assessment takes place to ensure that no child is missed, and that no one is targeted for intervention unnecessarily. The programme is a synthesis of best-evidence practice built on decades of research. The students are closely assessed so that their lessons can be individualised, are taught using ‘faultless communication’, receive immediate feedback so they don’t learn errors, and are given enough practice so that they become fluent. In short, they are taught to mastery. Yes, but what’s the magic, they want to know? What makes it work? After years in the workshop, building, re-building and tweaking, it’s been very hard to answer this simply. Now, I think we’ve crystallised the essence! It’s so simple as to be blindingly obvious – The Lesson Plan (and the way it’s taught). The fact is that the programme is not original in the sense of new insights into learning. Rather, it’s a combination of effective principles of teaching and learning that have been evident in the research literature* for decades. It’s the planning, sequencing and delivery of the lesson components that ensure that students make rapid progress in an area where they had previously struggled. Research has guided the sequencing of the components, and no component is superfluous. Students are taught only what they need to know; they proceed in incremental steps, with practice, review and generalisation activities. The lesson is fast-paced and elicits high levels of student response – over 200 individual responses in a 30-minute lesson, as compared to an average two per hour in a regular classroom setting. Each lesson is planned on the basis of what the student did during each part of the previous lesson. So, what’s the magic? In short, the lesson plan engineers complex scientific findings into a simple format. It is generic, yet requires each lesson to be designed around the individual student. Because it is efficient, students learn more in less time, with all the benefits to motivation and self-concept that follow. The purpose of explaining ‘the magic’, of course, is to spread the message that, even in adolescence, reading problems are solvable. If you would like, you can help too, by voting for us in the Teach First Innovation Community Choice Award (voting closes 12.01 am Tuesday 1 September). But what’s most important is to spread this message: it’s not too late to address reading problems at secondary school. *The research base is too large to discuss here! You can read more in our book ‘Thinking Reading: what every secondary teacher needs to know about reading. Available here.